The Scottish Government has launched a new Manufacturing Plan, which contains £70 million new funding for manufacturing and the circular economy. Bespoke support and a new Centre of Excellence to help Scotland’s manufacturers innovate and expand have been announced by First Minister Nicola Sturgeon. Supported by £70 million of investment, a new strategy for manufacturing - A Manufacturing Future for Scotland - outlines how the government will work with industry and with higher and further education institutions to stimulate innovation, improve productivity and increase investment in Scottish manufacturing in order that it can better compete globally. The funding, includes £30 million from the European Regional Development Fund (ERDF), and will enable companies to capture new opportunities presented by a move to a more circular economy. The ERDF allocation is part of a targeted approach investing European funding to develop a resource-efficient, greener and more competitive economy in Scotland. This includes a Circular Economy Investment Fund to help manufacturers develop innovative technologies, business models and infrastructure, from the proof of concept stage through to implementation. It will also introduce a new Circular Economy Service, offering development support to businesses seeking to redesign their processes and products. 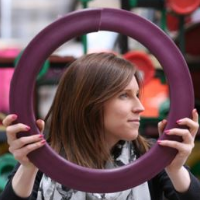 The Circular Economy Investment Fund and Service, to be delivered by Zero Waste Scotland and Scottish Enterprise, will help small to medium-sized businesses and other organisations, develop innovative technologies, business models and infrastructure – from proof of concept stage through to implementation. It will also offer development support to businesses seeking to redesign their processes and products, and implement resource efficiency measures.